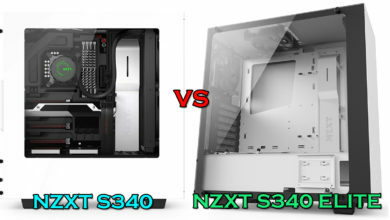 Corsair is one of the greatest if not the greatest manufacturer of computer cases. 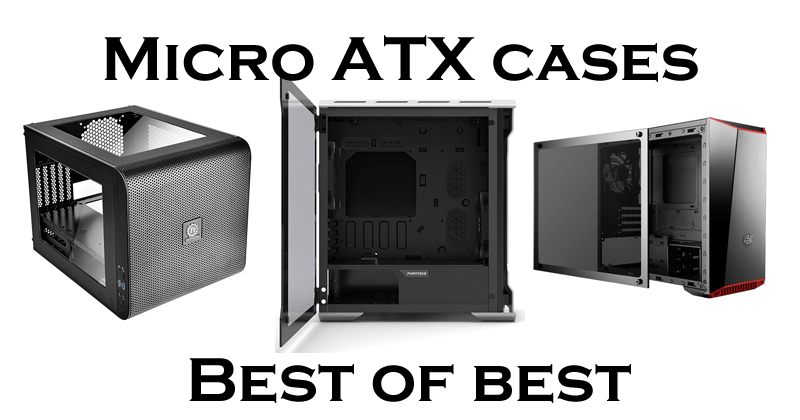 It has produced several different series for each form factor and SPEC series is one of the most popular case series which consists of budget cases that are mainly near to the $50 price point. 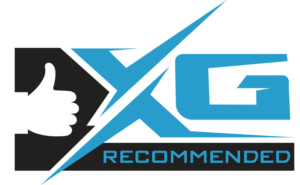 Today, we will be going to take a look at what the company has brought new in the SPEC-4 Tempered Glass case which is the successor of SPEC-03. 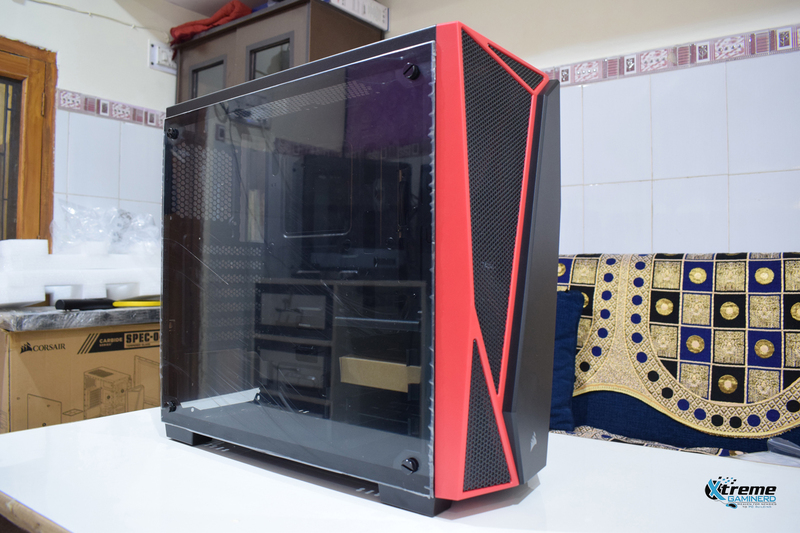 Corsair Carbide SPEC-04 comes in several different colours that are:- Red, Yellow, White and Grey but the tempered glass edition which I am reviewing comes only in Red colour. There is no difference between the specs of acrylic glass SPEC-04 and the Tempered Glass SPEC-04 except that of the window panel. The latter is, however, heavier. 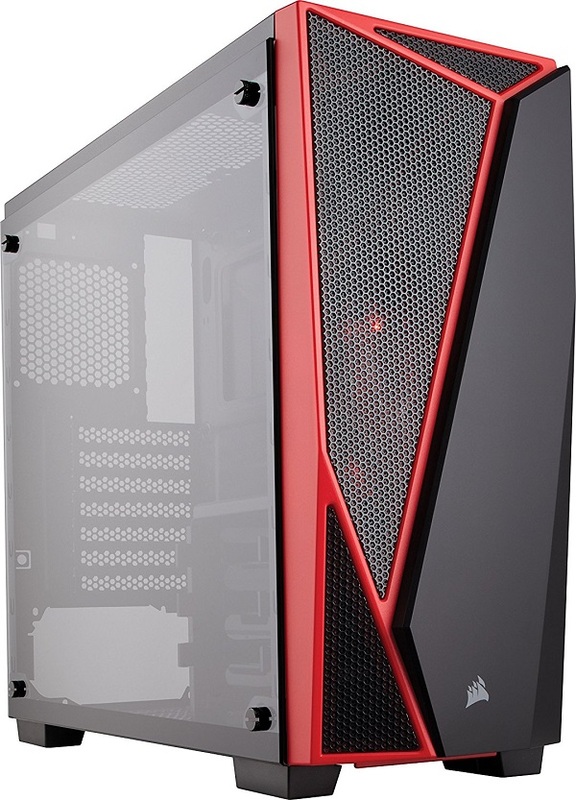 Corsair is providing 2 years of warranty with this case and have priced it at $59.99 but it is currently available for $54.99 on Amazon. 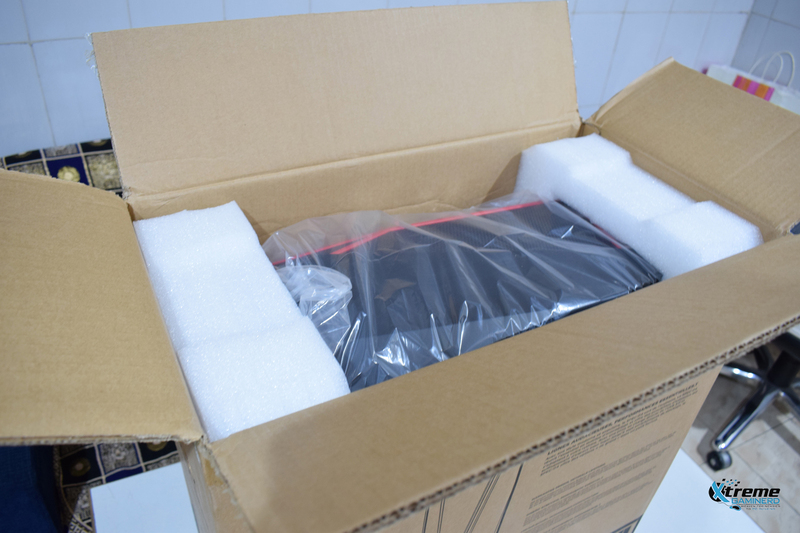 Unboxing is one of the best feelings because we see a brand new product out of the box. 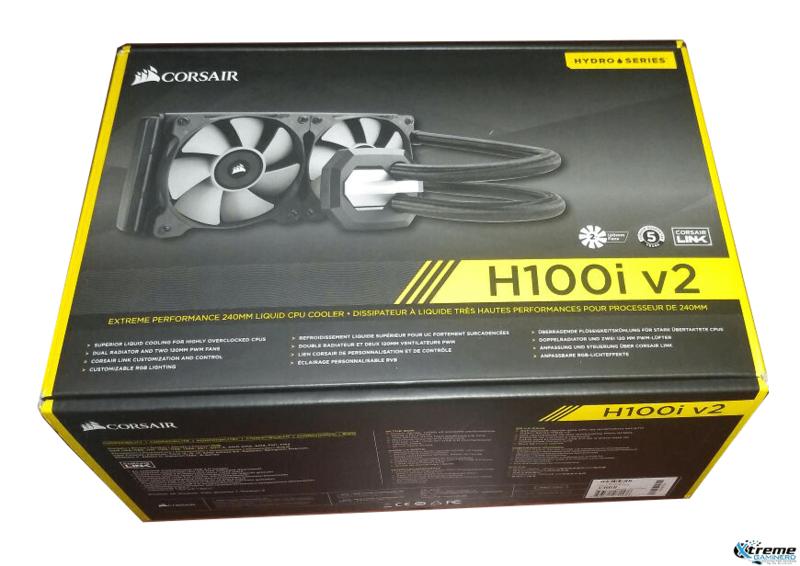 Corsair provides the case with a normal cardboard box with the case description on the sides. The case came well-packed with good protection. 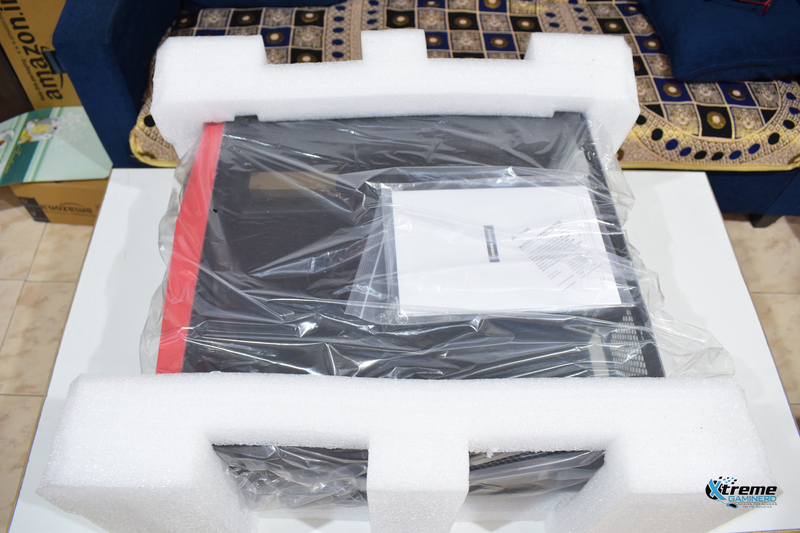 Here we have two things inside the box: The Case itself and the case manual. There is also a thin layer of the plastic cover on the tempered glass to protect it from major scratches. Note that the tempered glass panels are resistant to minor scratches which is not same in the case of acrylic panels. The case is lightweight even though it has tempered glass side panel but it is still around 1 pound heavier than the original edition. The case looks very stylish from outside and decent in aesthetics. This $60 case is worth every penny when its looks are taken into consideration. 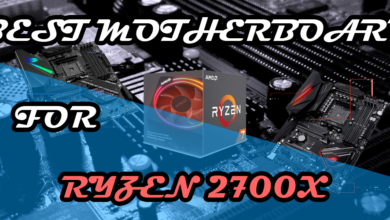 The red/black coloured theme suits most of the computer parts out there in the market. 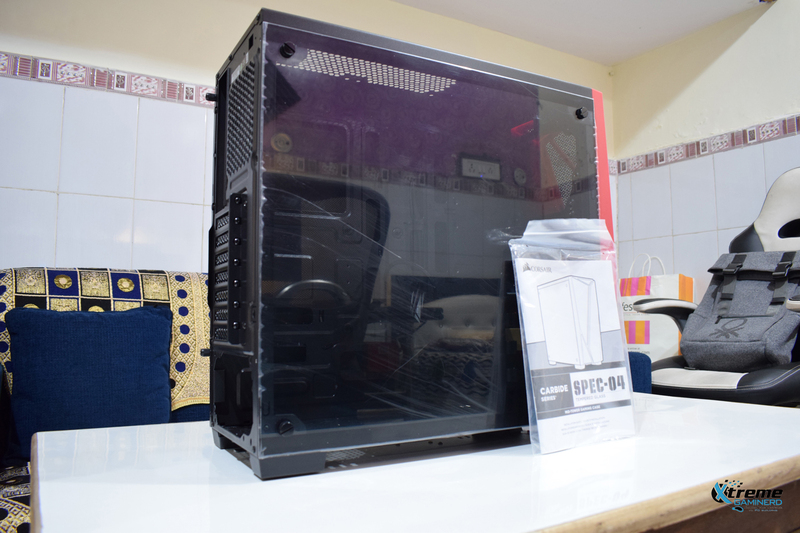 This case uses 4 screws that secure the tempered glass side panel similar to most of the traditional tempered glass cases. 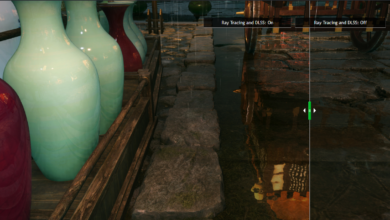 This technique is right now not being implemented in some high-end PC cases due to the difficulty of handling the glass panel. Removing it is easy but one should make sure that he doesn’t leave the glass panel without any screws right there on the side without any support and one should grab it from the bottom when removing. The front is what makes it different from the entire SPEC series. 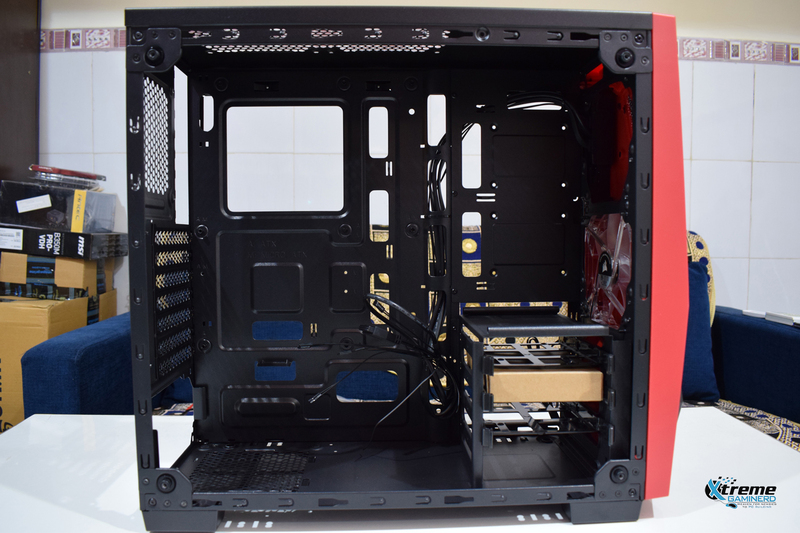 Previous SPEC series cases used a simple front panel design but better ventilation. 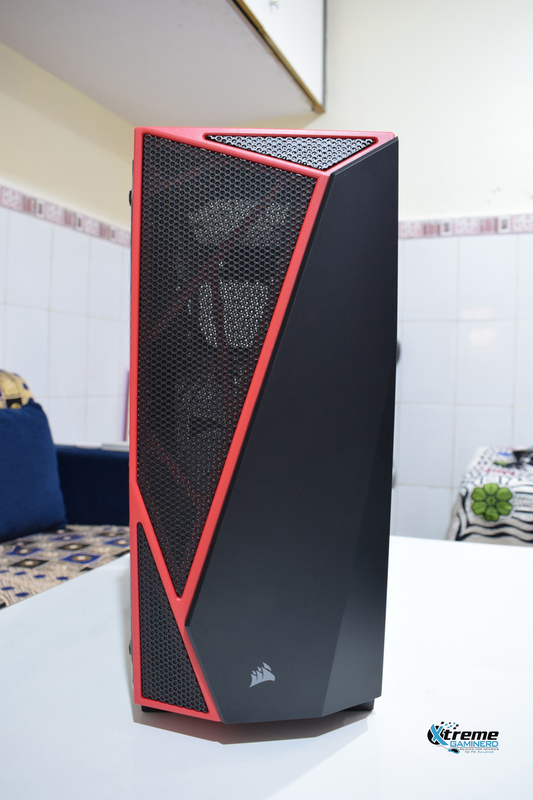 This case is just fine but with a little bit of modernistic design that makes it look like a “Gaming” case. 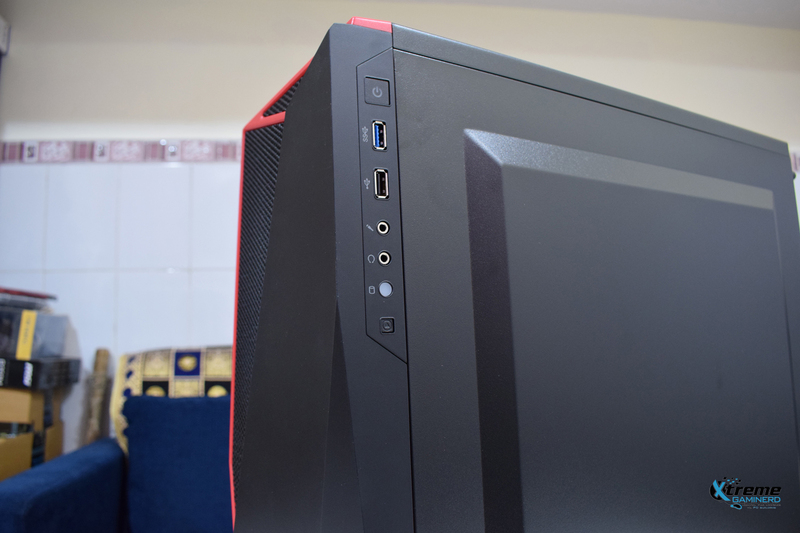 The Angular look makes it very attractive, however as half of the front panel is covered with the plastic, airflow will not be that effective as in the previous SPEC cases. 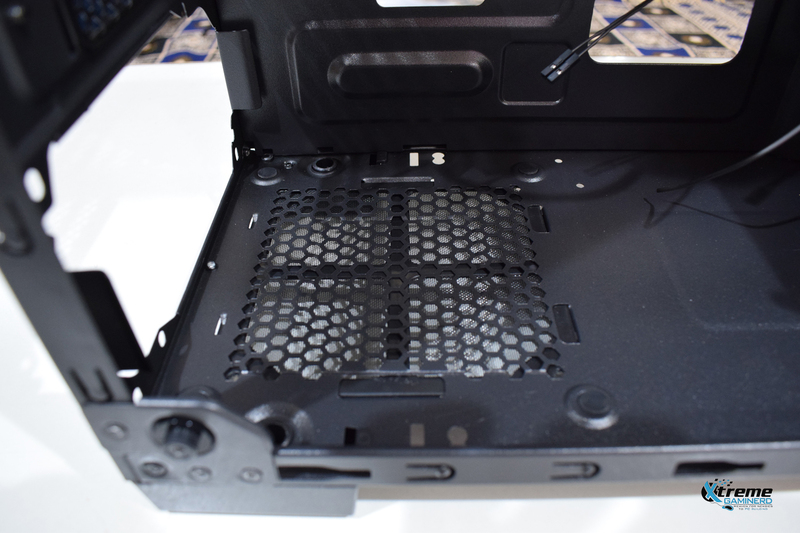 The case front panel ports are available at the right top side instead of the front or top. There is only Power button but no Reset button. For USB connectivity, there are two ports, 1x USB 2.0 and 1x USB 3.0. For audio, there is a mic and one headphone jack. Below them is the hard drive LED which has White LED. The lighting is very uniform in it. 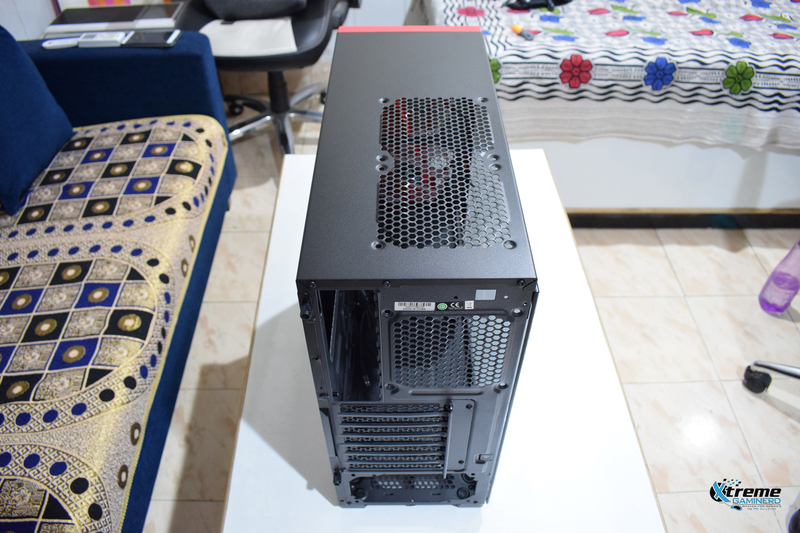 The back of the case has 7 PCI expansion slots and a slot for a 1x 120mm fan. At the top, there are two slots for 120mm fans. The quality of the material used in this case is good but not the best. It’s lightweight but still, its panels don’t flex which makes it reliable and sturdy. 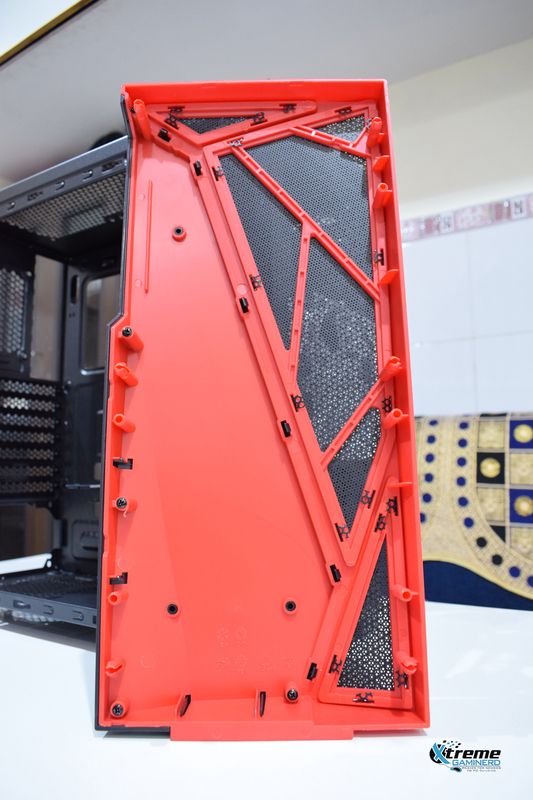 So, after removing side panels, you can see how the case looks from inside. It’s similar to the previous SPEC cases for sure and therefore nothing exceptional. 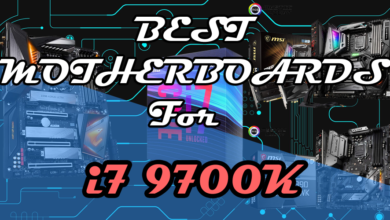 The case supports Mini-ITX, Micro-ATX and ATX form factor motherboards and standard power supplies. There is a hard drive cage where you can install up to 3 hard drives. The screws come in a small box in one of the hard drive cages. 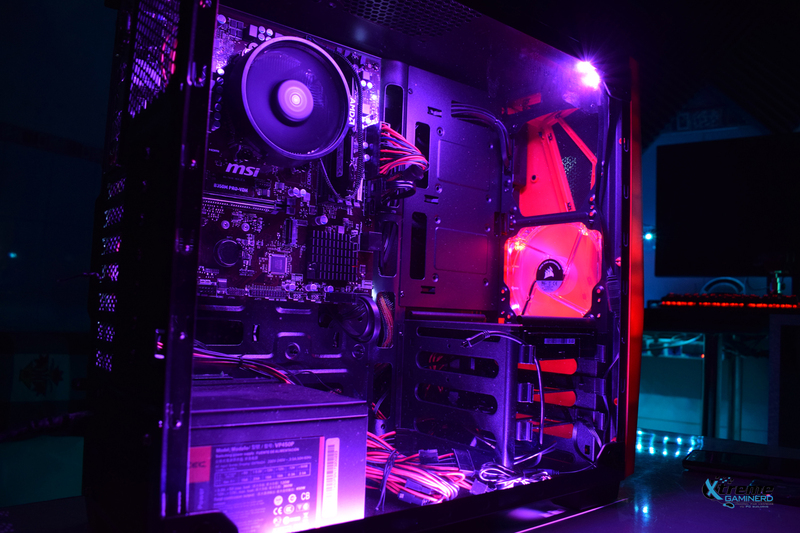 There is one 120mm pre-installed fan at the front which glows RED and there is no pre-installed fan at the rear. 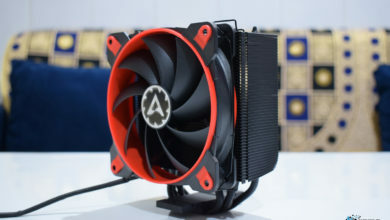 So, you will need to buy one for exhaust(Check out the Best PC Fans). 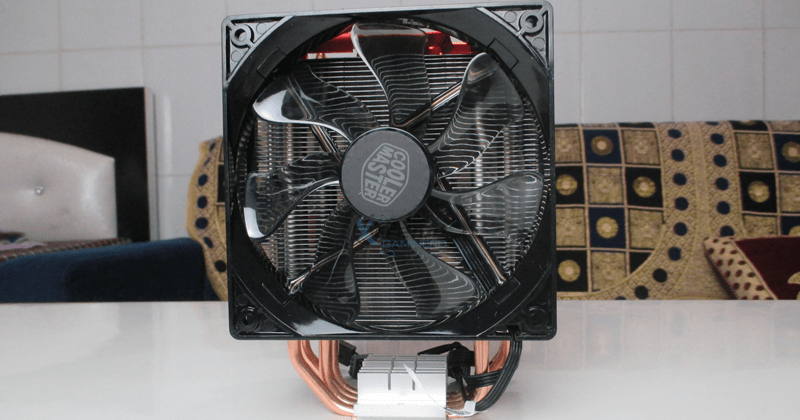 You can install two more 120mm fans at the top and two at the front. 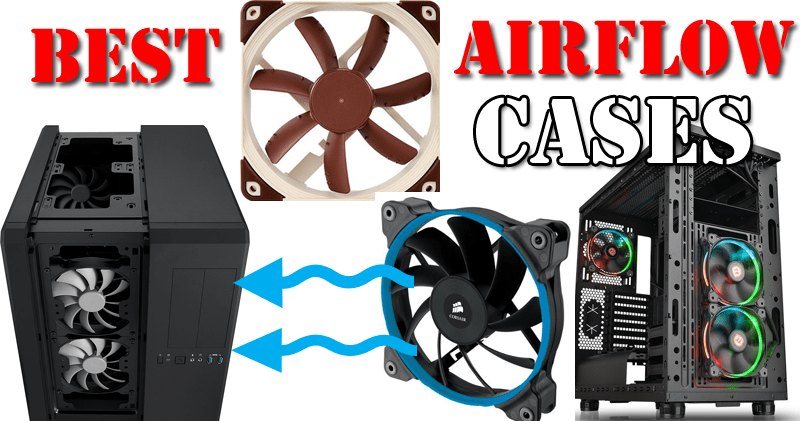 It will create a balanced airflow inside the case. Radiator support inside it is not good. You can’t install radiators at the top but at only at the front or rear and that too not bigger than 120mm. At the bottom of the case, it has a dust filter which is very much needed however, there is no dust filter at the front. The front panel is easy to remove and it is a good quality panel which doesn’t flex. Cable management behind the motherboard tray is fine. You can adjust the cables on the left side which has more clearance than just behind the motherboard tray. There are no rubber grommets and you can expect it in a $60 case like this. There are several routeing holes for proper cable routeing but the problem I faced building my friend’s Ryzen Gaming PC in it was connecting the CPU cable. There is a small hole at the top right but after installing the motherboard, it’s not possible to take that route. I didn’t recognize that before but still, it went fine. 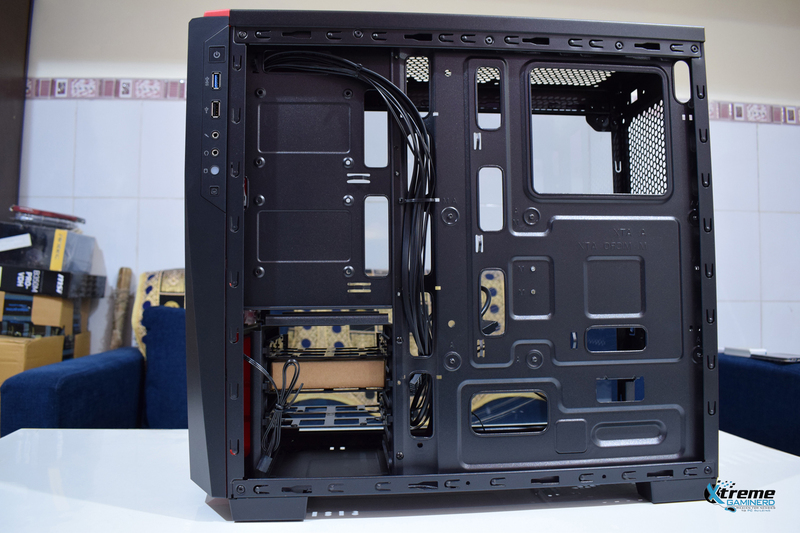 At the back, you can also install two SSDs at the top and this is a very effective way to utilize the empty space but then you may suffer some clearance for cable management. 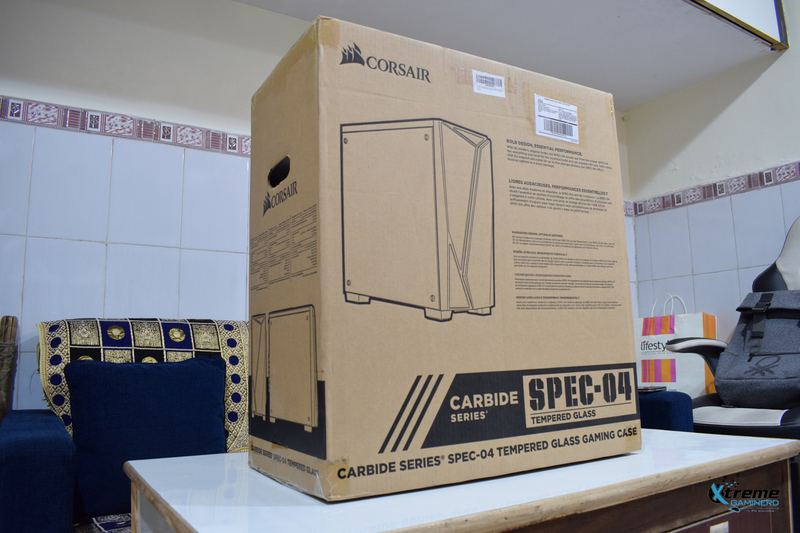 Corsair Carbide SPEC 04 TG brings a better design in terms of looks and also in the installation of SSDs at the back. The angular design of the front panel with mesh makes it look stylish and the side tempered glass panel increases its overall beauty. SPEC 04 TG is a good addition to the Carbide SPEC series at $60.